We cut & deliver the parts you want, when you want them. With a fast acting office and a fast, flexible shop we have what it takes to get your project done on even the most demanding timelines. Our responsive office is very proud to offer some of the fastest, most accurate quotes in the industry. Our inside sales team is ready and eager to quote your project whether it’s a single piece of aluminum, 10,000 pieces of thick stainless steel, or any other of thousands of materials. 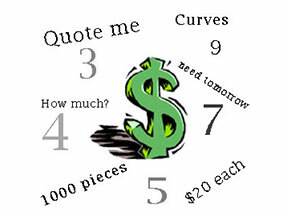 We take quoting seriously and at Absolute we respect your time. We know that in today’s world having an accurate quote and getting it to you right away is critical. Take comfort in knowing that with Absolute as a vendor you get the numbers you need when you need them. 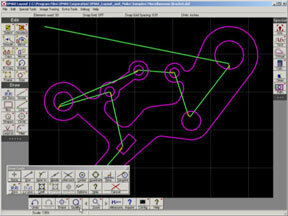 With full time programmers on staff, we can convert your CAD files into cut files for our machines in minutes. We pride ourselves in nesting your parts to best use material and machine time. We can directly import almost any file format, although .DXF and .DWG formats are most commonly used. Multiple Waterjet Tables Mean Fast Turnaround! 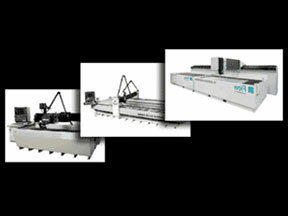 Another major benefit is the number of waterjet tables available at Absolute. This greatly increases the chance we can get to your project faster than any other vendor. Running with seven waterjets lets us split large orders on several machines to get the job done in half or even a quarter of the time.